Today’s employees are demanding more transparency and effective tools for working together. LumoFlow is designed for both internal and external participants to share content and collaborate as a one seamless social network. 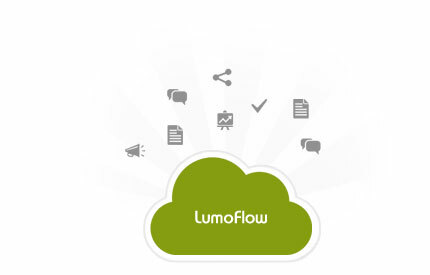 Within a private LumoFlow network each user group can select their own tools based on the current demand. 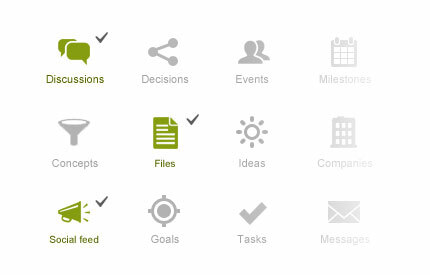 Add tools such as file management, task tracking, idea sharing, blogging and discussion forums. 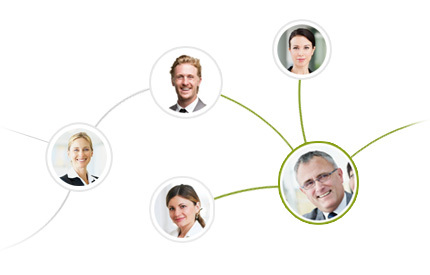 Effective collaboration requires social and rich communication channels. Share files, publish information and deliver announcements. Engage all participants by providing a social and gamified collaboration platform for your whole employee or partner network. Easy as Facebook. Share, comment and like! Pay only for active users! Prices are based on your current amount of users. We are a team of enthusiastic entrepreneurs, SaaS experts and super-powered software developers from Finland and Austria. Our award winning enterprise software services are trusted by thousands of businesses across the world every day.